Once you have collected some samples you can prepare a report at any time. To enable the reporting button, you need to suspend active sampling. You can do this by toggling the Pause/Resume button, or by terminating the Profiler with the Stop button. You have some options for reviewing and sharing the results. Synchronize the model by reverse engineering the source code that participated in the profile. You can filter and reorganize the information in the report, in the same way as you do for the results of a Model Search. By default the report excludes unknown function calls and frames in the call tree. Click on the toolbar button to show or hide these frames. When you select a function, and a call to that function is present in more than one stack, you can click on the and buttons to navigate between all stacks in which the function appears. Navigation is from highest use to lowest. If you want to examine a deeply-nested branch, you can make it the root node of the report. To do this, click on the node and click on the button. Only function calls emanating from the selected branch will be displayed. To reset the report to normal click on the button. The generated Sequence diagram reflects all activity resulting from the selected node. It is created as a child diagram of the Interaction corresponding to the node, and is displayed immediately. The 'Save As' dialog displays. Type the file name of the report and choose whether to export as a binary or a text file. If you use the binary format the file is smaller, but can only be viewed through an edition of Enterprise Architect. If you choose the XML format the file might be very large, but of course can be viewed in many text editors. Click on the button or the 'Load Report' context menu option. The 'Open' dialog displays, on which you browse for and select the report file. Click on the Open button; the Call Stack opens or refreshes with the loaded report. In the Sampler report, right-click on the name of the function to analyze, and select the 'Create Line report for function' option. Once the Profiler binds the method, the line report is opened as an additional tab to the current report View. Function Line reports are saved together with the sample data and will be displayed whenever the file or element is reloaded. You can save any current report as a resource for a Category, Topic or Post in the Team Review to share and review at any time, as it is saved with the model. The report can also be compared with future runs. 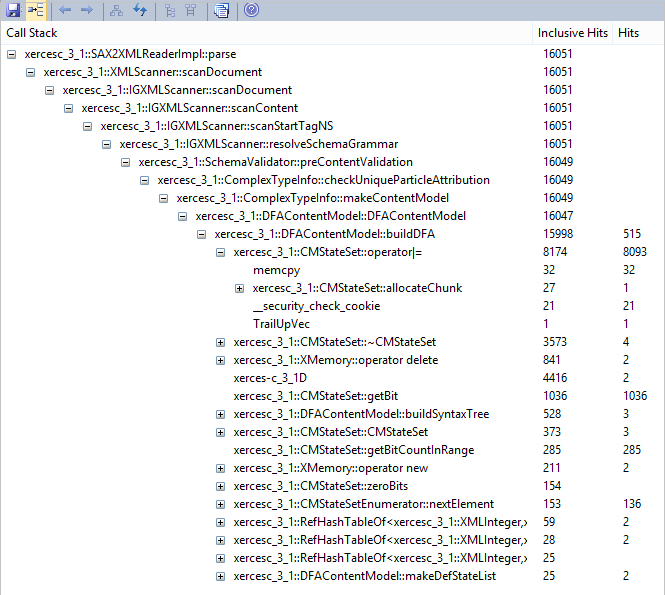 To begin this process, select the menu option 'Team Review Context Menu | Share Resource | Add Active Profiler Report'. In the Project Browser, select the Package or element under which to create the Artifact element. On the Call Stack window showing the report, right-click and select the 'Save Report to Artifact' option. You are prompted to provide a name for the report (and element); type this in and click on the OK button. The Artifact element is created in the Project Browser, underneath the selected Package or element. If you add the Artifact to a diagram as a simple link, when you double-click on the element the Call Stack window displays, showing the saved report. 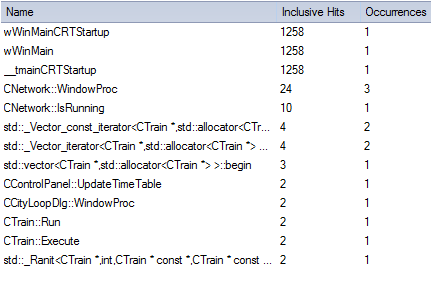 During its operation, the Profiler generates a collection of relevant code files, which you can reverse-engineer to the current model in a single operation using the 'Synchronize Model' dialog. Click the button on the toolbar to use this feature.